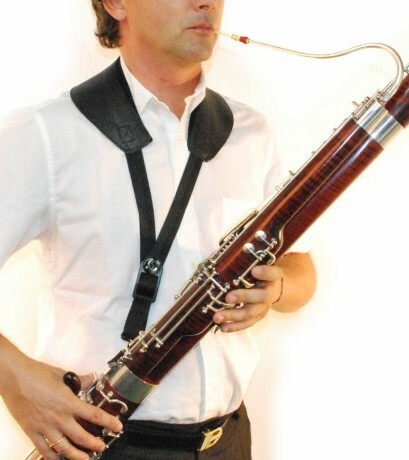 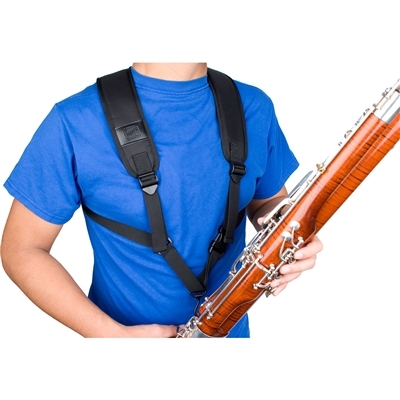 The BG Bassoon Harness Strap provides superior comfort and stability. 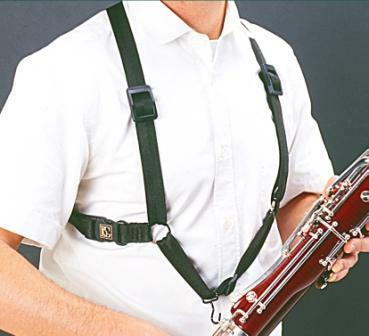 This unique harness features variable adjustment, extra cotton padding to absorb moisture, and has a heavy-duty metal strap hook. 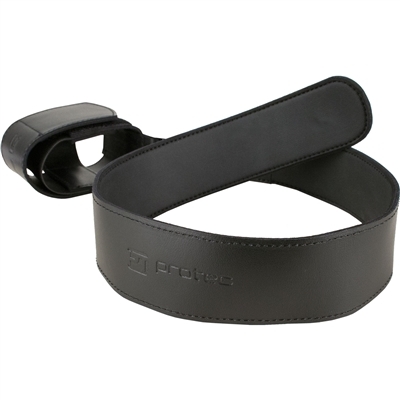 The yoke style design of this strap makes for greater comfort as the weight is distributed over the shoulders and not just the neck. 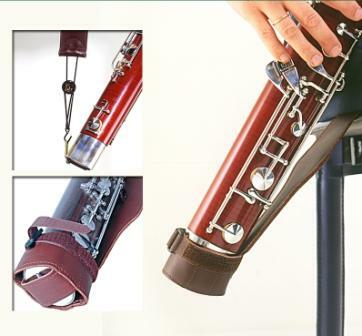 Fully adjustable with swivel hook.